Just picture the fun you and your family will have when you vacation at Cypress Bend in North Myrtle Beach, South Carolina. When you and your family escape to this family-friendly resort, you will have a great location at an affordable price. 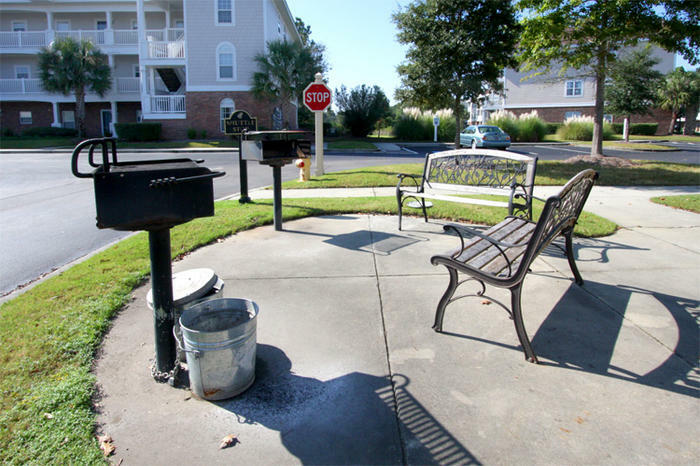 At this attractive North Myrtle Beach condo rental, you and your family will be close to a plethora of attractions and amusements. The white sandy beach is only a short drive away when you spend your vacation at Cypress Bend in North Myrtle Beach, South Carolina. There are countless ways for the whole family to have an unforgettable vacation in beautiful North Myrtle Beach, South Carolina. The exciting North Myrtle Beach area caters to families and is a wonderful choice for your long-awaited South Carolina vacation. The pristine beach is the main attraction and lures visitors from all over to bask in the warm sunshine. Walk along the beach near this well-appointed North Myrtle Beach resort and breathe deeply of fresh salty air. Your appealing North Myrtle Beach condo is just a few minutes from the captivating beach where you can play in the surf with your family and search for seaside treasures to keep for years to come. Cypress Bend is located in the prestigious Windy Hill section of North Myrtle Beach. With a wealth of on-site amenities, this pleasing North Myrtle Beach condo resort was designed with families in mind. This beautifully landscaped North Myrtle Beach resort has well-kept grounds and lofty trees, including oak trees and pine trees. You and your family can take an afternoon stroll and enjoy the beauty that surrounds this private resort in North Myrtle Beach, South Carolina. You can bird watch or just admire the graceful wildlife of the area while you rest on one of the park benches at this tranquil North Myrtle Beach resort. Take a dip in the refreshing outdoor swimming pool at this quiet resort in North Myrtle Beach, South Carolina. You can lounge around and work on your tan on the pool deck at this welcoming North Myrtle Beach resort. Exploring the fabulous North Myrtle Beach area can be exhausting but a soak in the outdoor hot tub will have you relaxed in no time. At Cypress Bend, you can let the warm and bubbling water of the outdoor hot tub soothe the aches and pains that come with a day of laughter and thrills in North Myrtle Beach, South Carolina.